Chef Andrew brings extensive fine dining experience to Hagel 1891, adding his unique twist to our casual restaurant’s classic-yet-modern American food. Chef Andrew’s favorite toy as a child was his miniature electric stove. Barely strong enough to fry an egg, it nonetheless lit a fire in the budding chef. Inspired to learn more, Chef Andrew began working in restaurant kitchens as a teenager in his home state of Ohio. After high school, he studied at the New England Culinary Institute in Vermont, then earned a Master’s in Italian cuisine from the Italian Culinary Institute for Foreigners in Costigliole D’asti, Italy. Chef Andrew continued his culinary education by working in prestigious kitchens in New York and Chicago, including New York Times four-starred restaurant Le Cirque in New York City, and the Rainbow Room at the top of the Rockefeller Center. In 2012, Chef Andrew returned to his Midwestern roots, married his wife, started a family, and opened a couple of restaurants in Chicago. 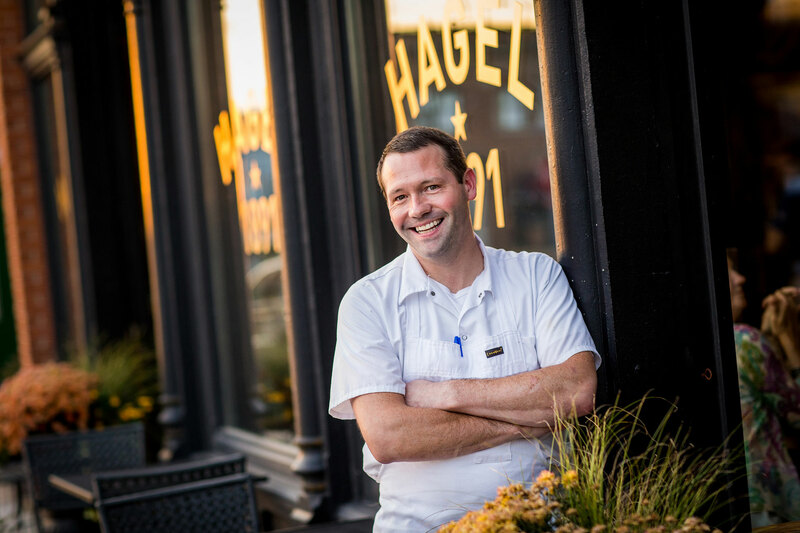 In April 2016, Chef Andrew moved to Jacksonville with his family to become Executive Chef of Hagel 1891.